CBHA/ACHA members and their guests are invited to a special lecture at McGill University titled Keep or Shred? How to get Businesses to Start Valuing their Archives. 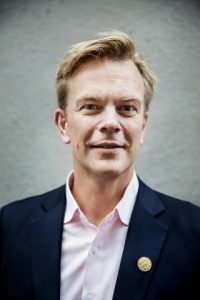 In this presentation, head of communication and editorial services Anders Sjöman will share thoughts and learnings from the Centre for Business History in Stockholm (www.naringslivshistoria.se/en) on this topic. As an outsourced archive solution for Swedish companies, the Centre today hosts over 7000 company archives, dating back to the 1700s, and manage over 70000 shelf meters of materials. The Centre over 40 years of experience in getting companies to both archive AND activate its historical material. Further Information and RSVP HERE.